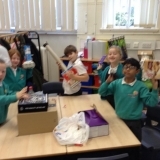 The battle of Diwali, monkeys vs daemons (interesting who wanted to be a baddies on the right) Nathan undead, Theo thunder cloud, Finley, Sid, Arjan, Freya and Samuel (best dramatic death). 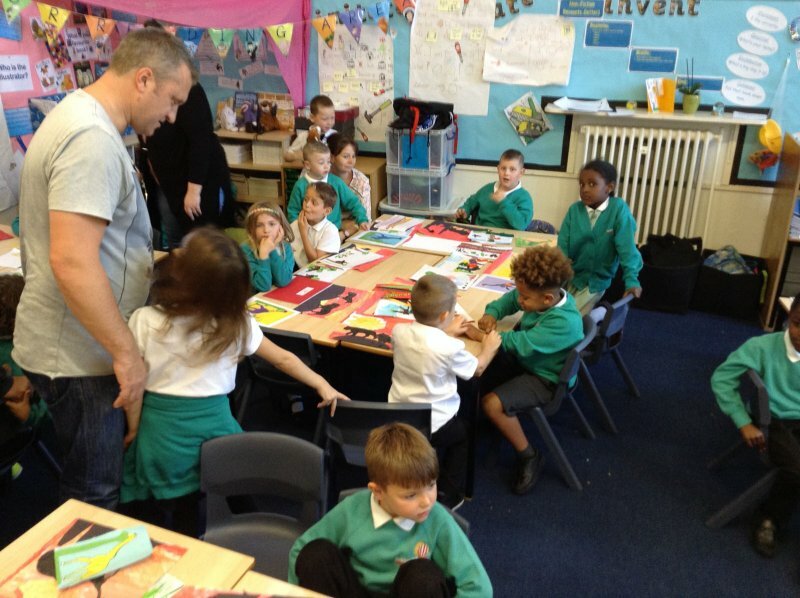 ‘Profound’ to say the least. 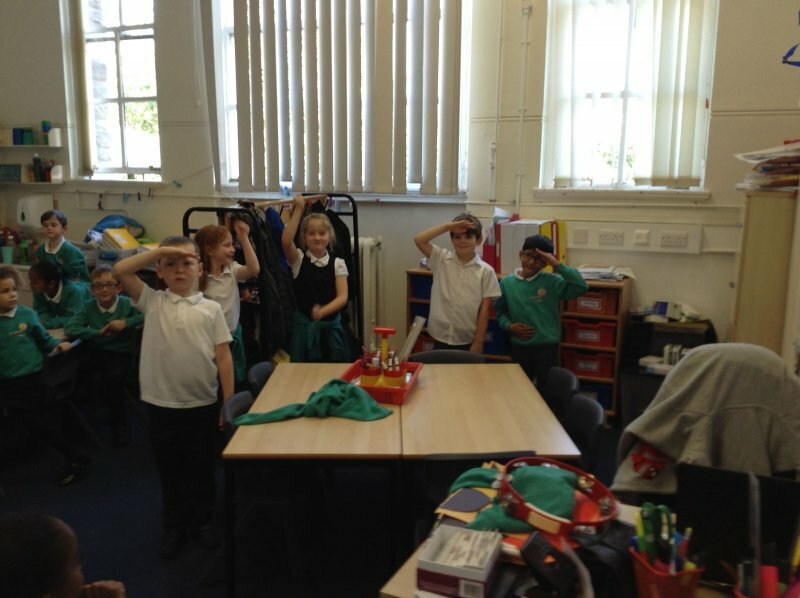 The Maccabees dedicating the temple back to God. 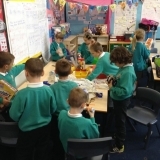 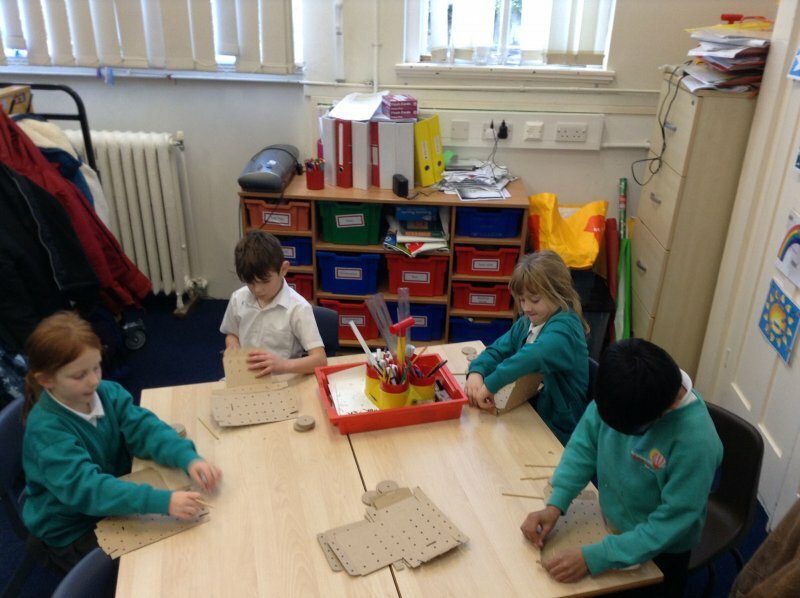 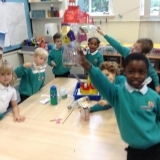 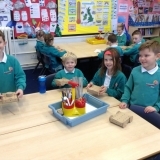 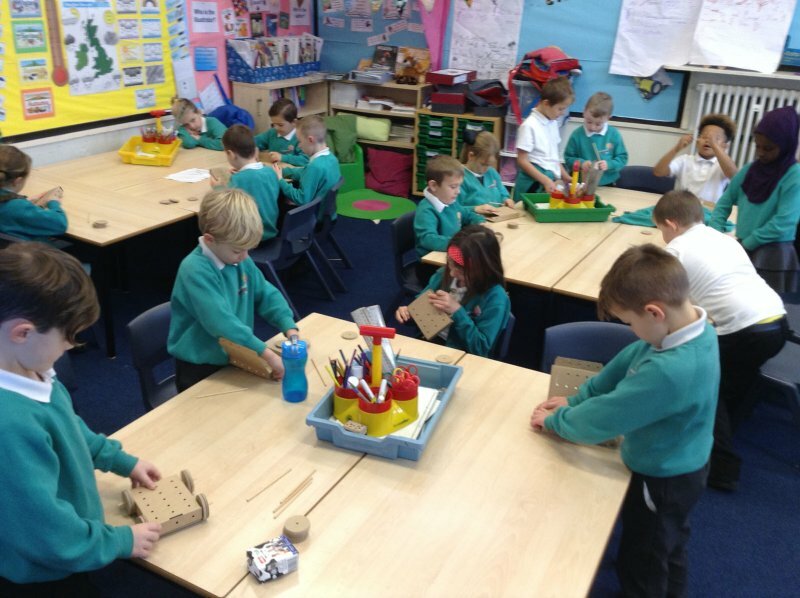 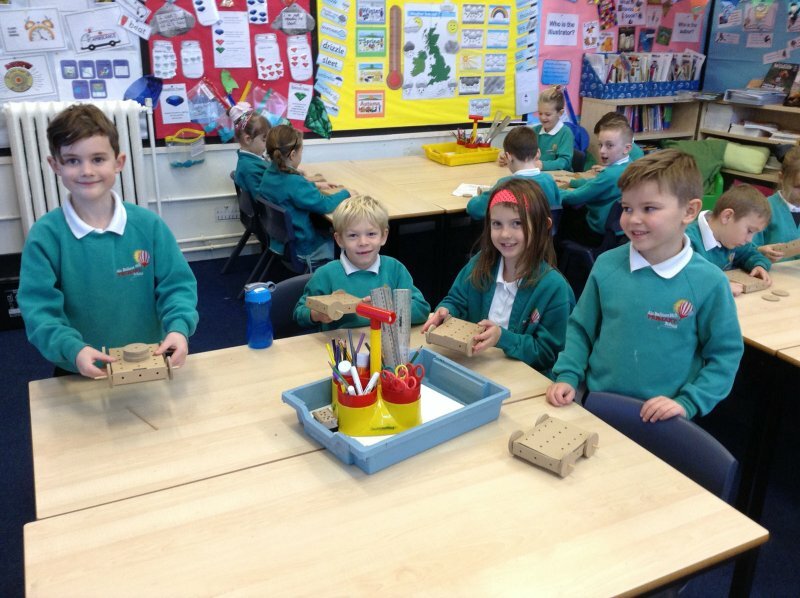 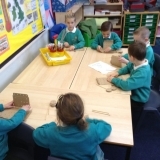 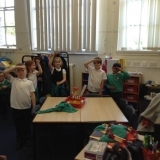 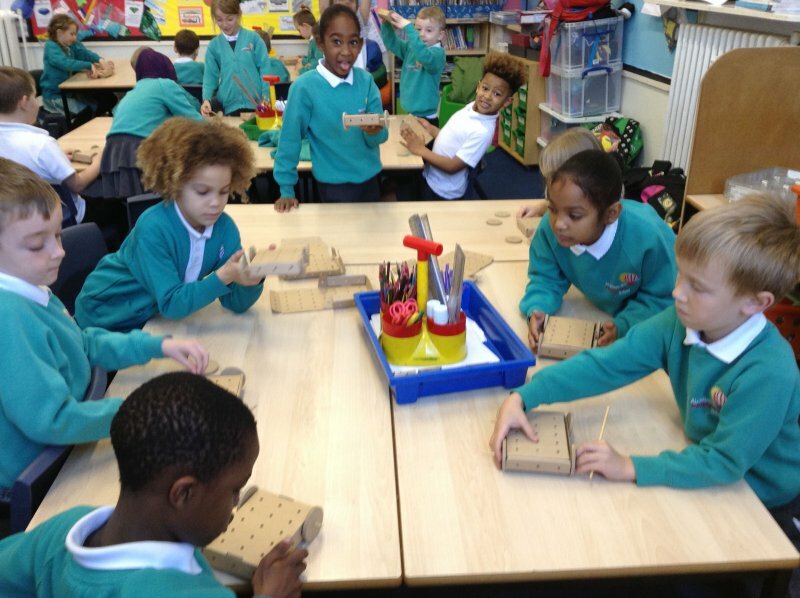 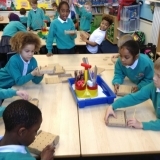 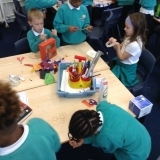 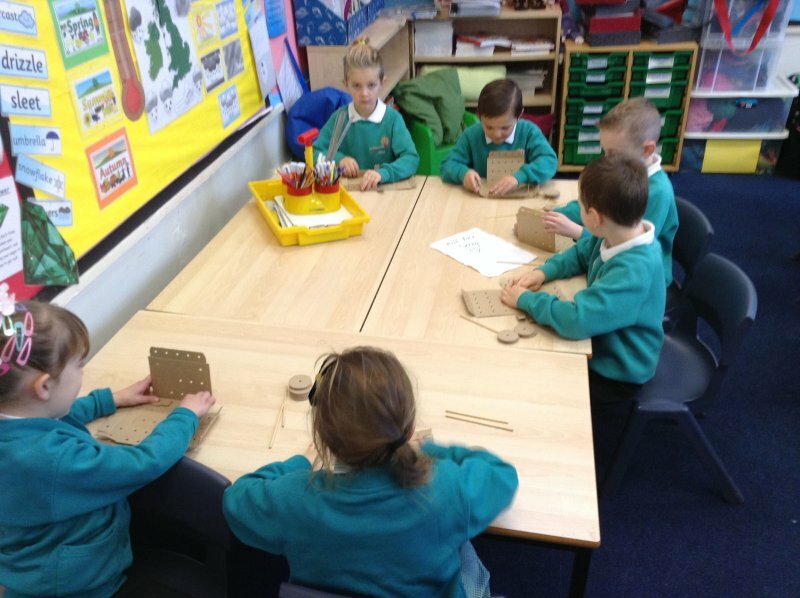 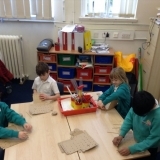 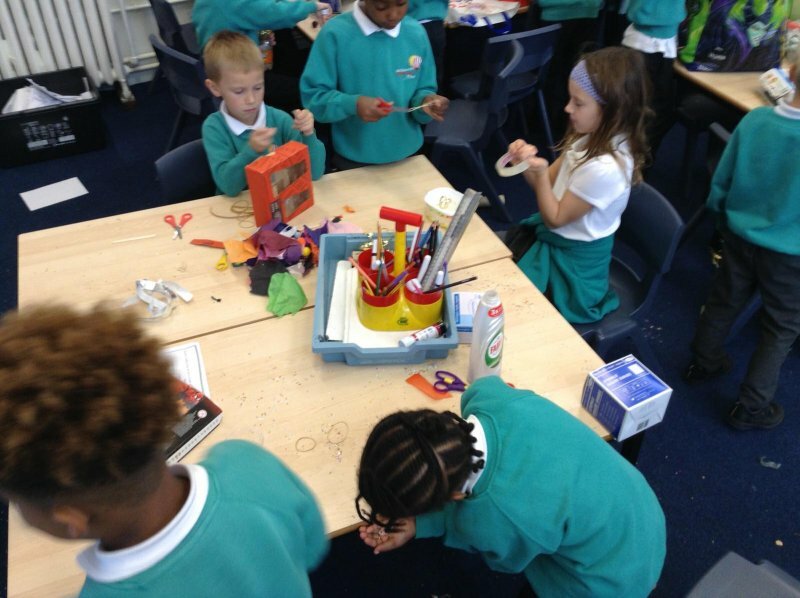 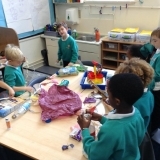 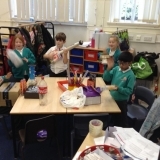 Endeavour practising the skills needed for DT project – Making cars. 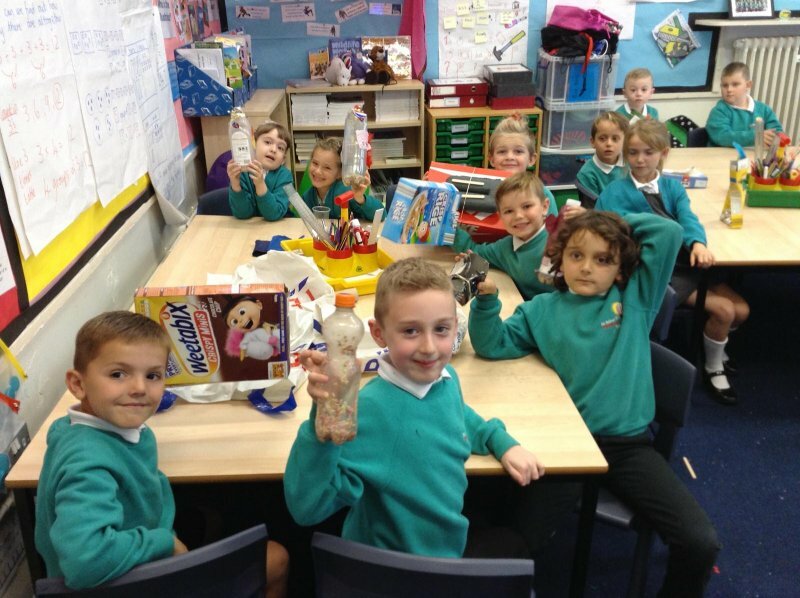 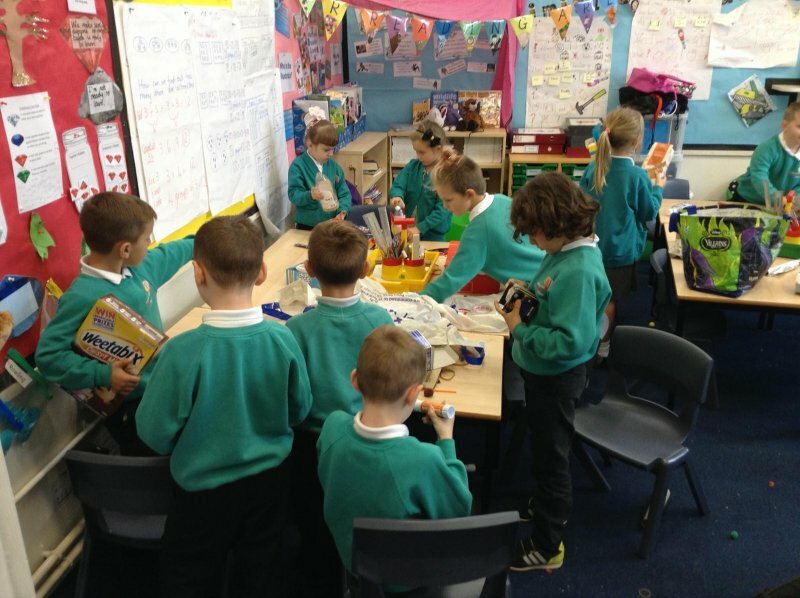 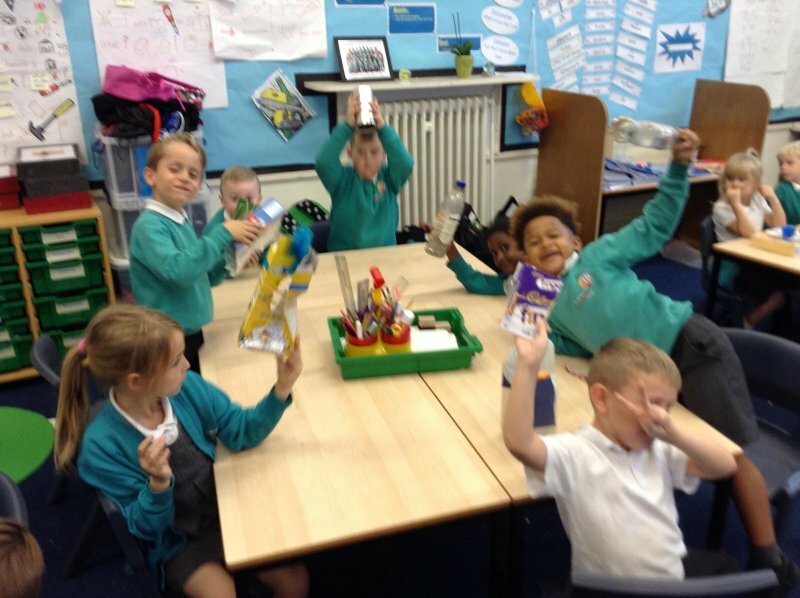 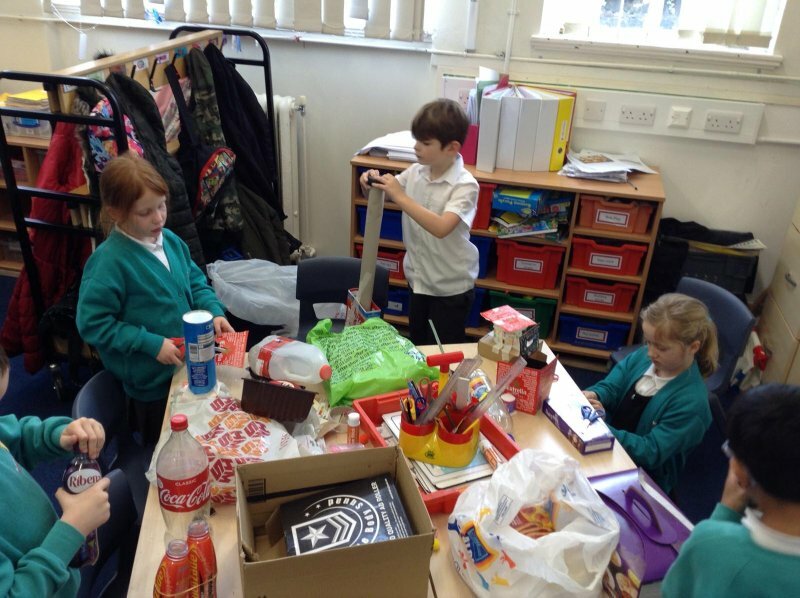 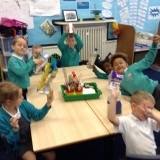 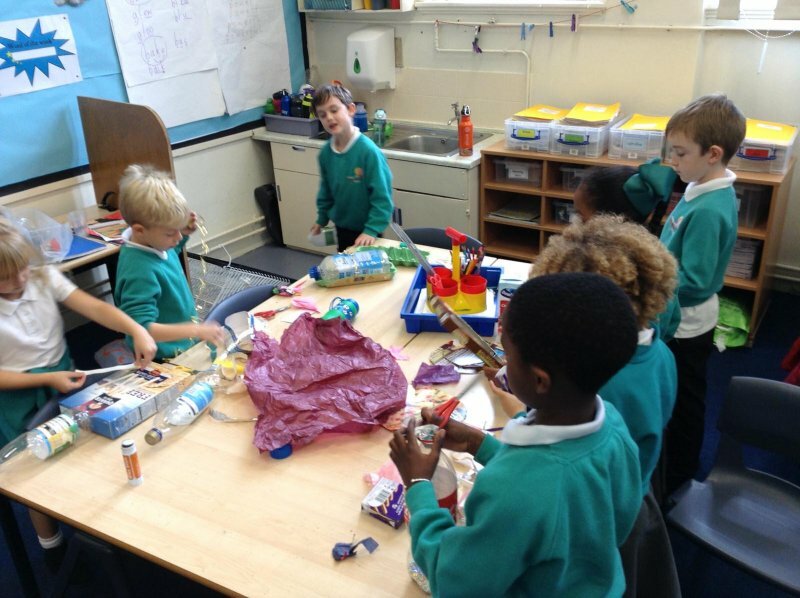 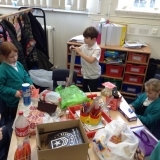 Thanks to parents for donating so much junk modelling. 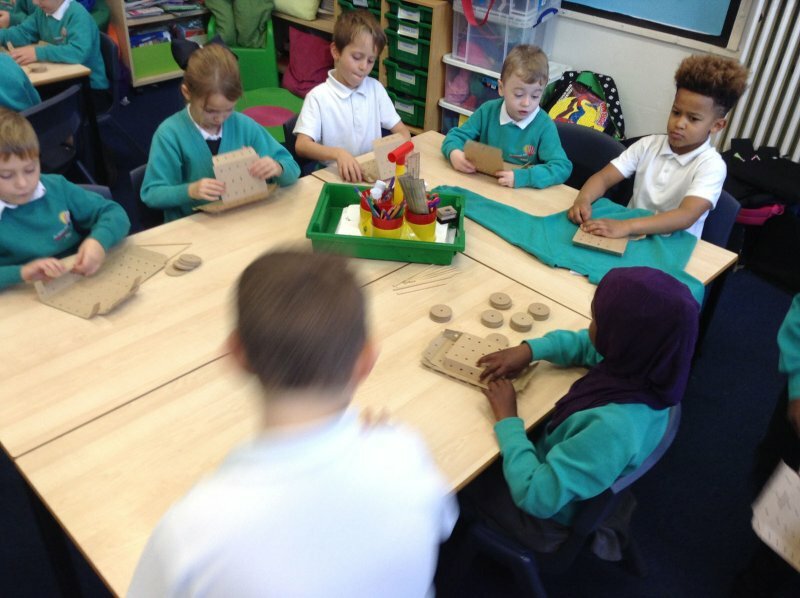 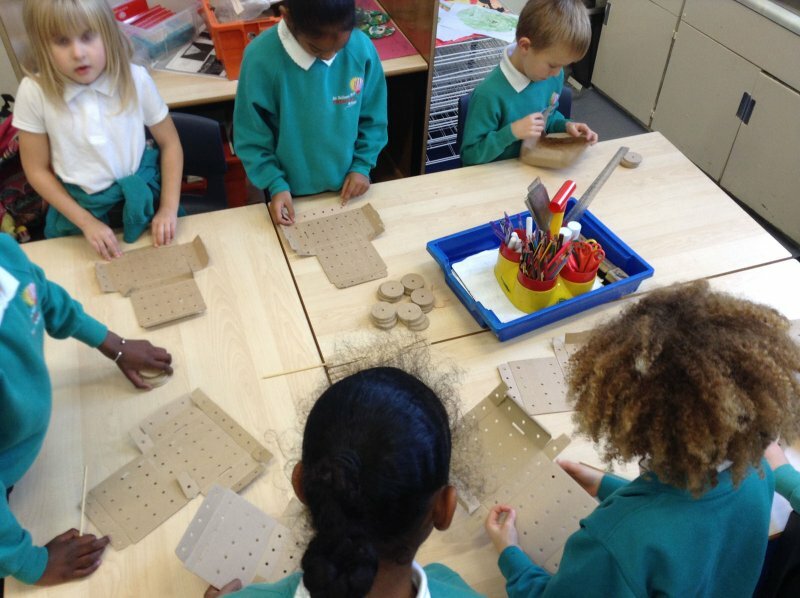 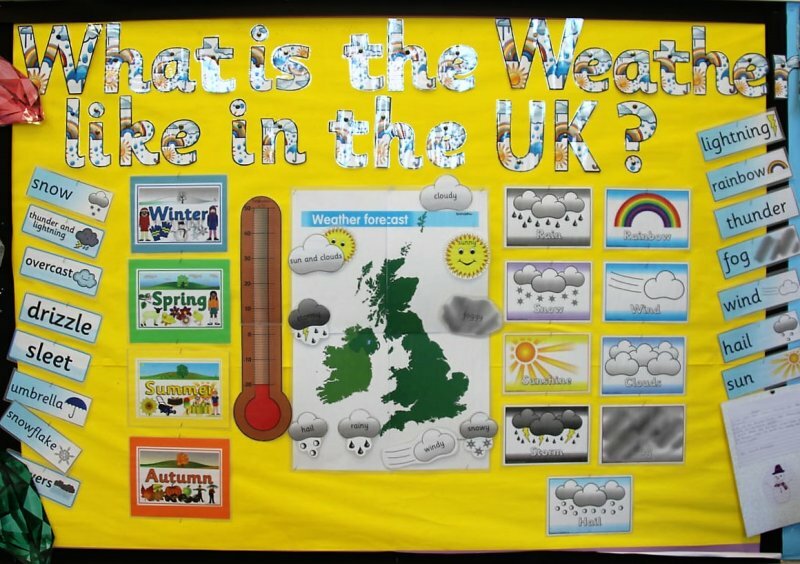 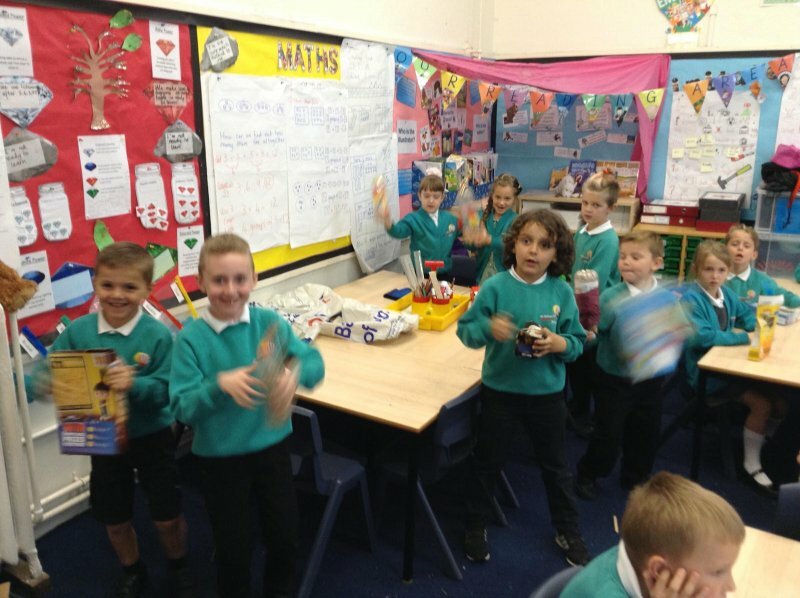 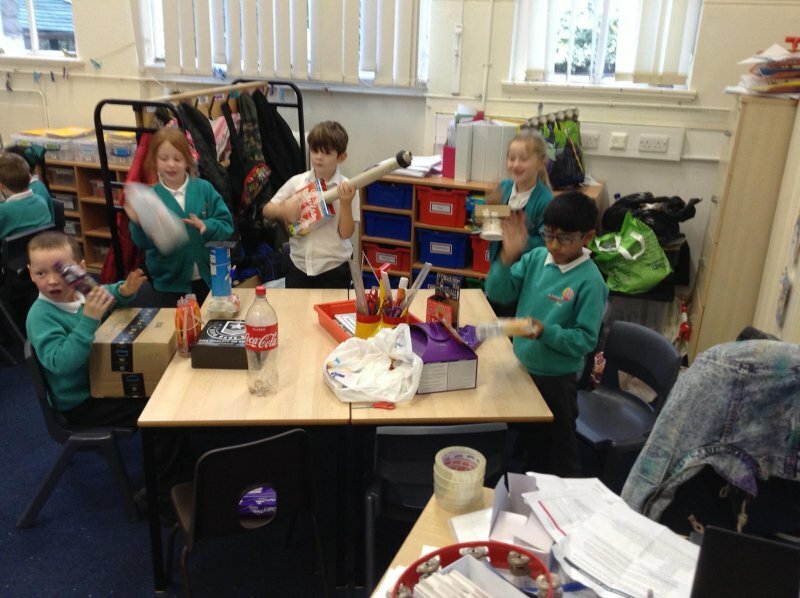 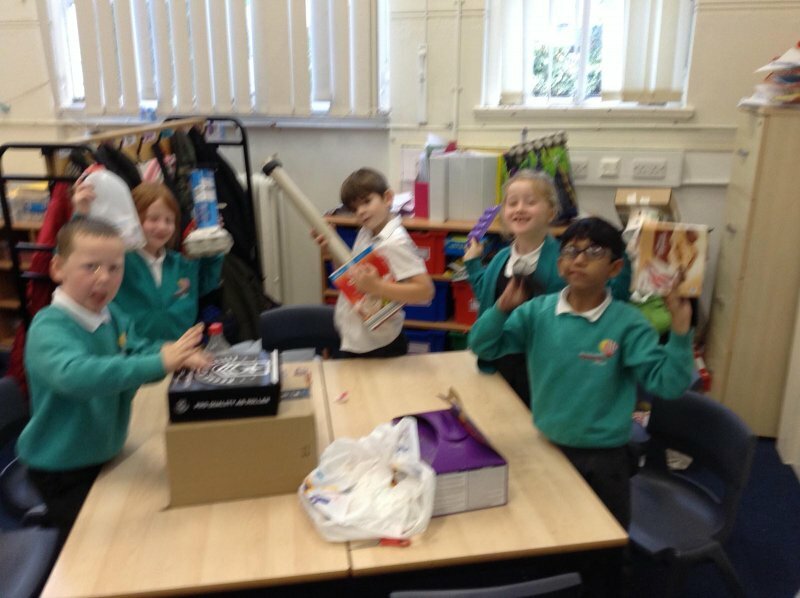 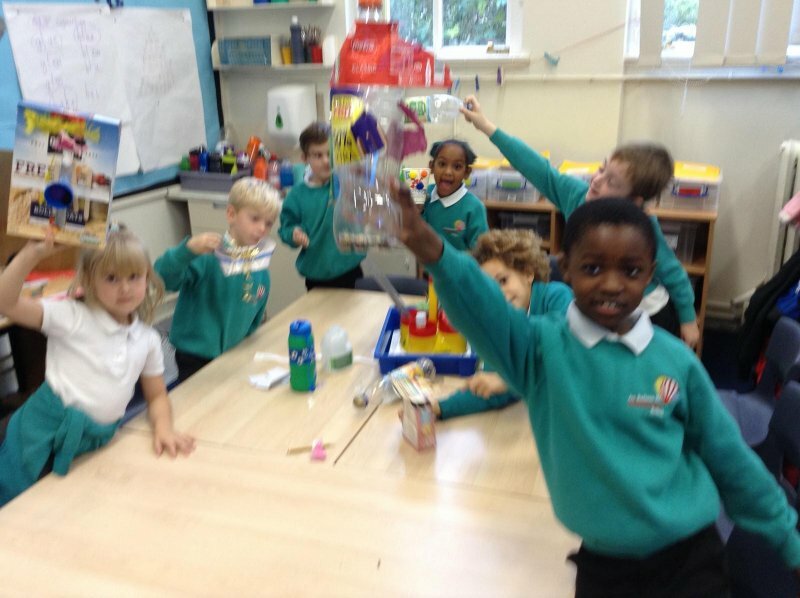 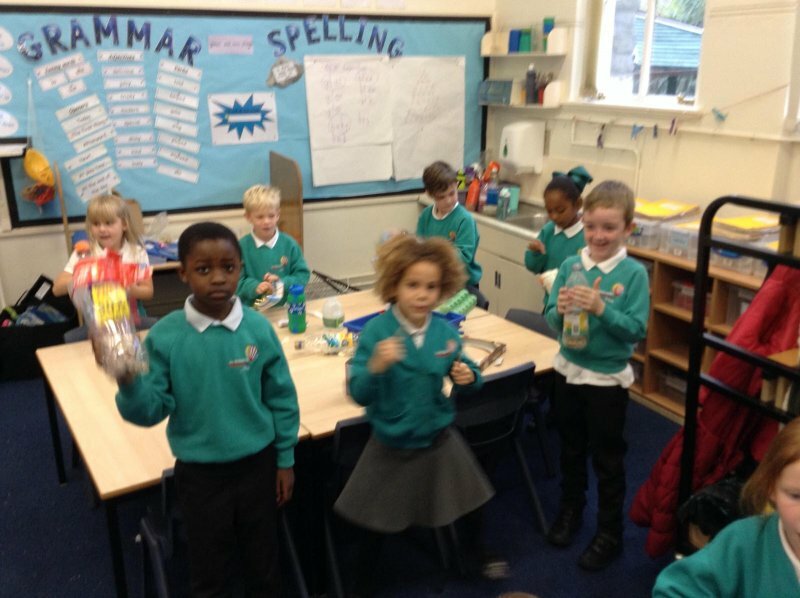 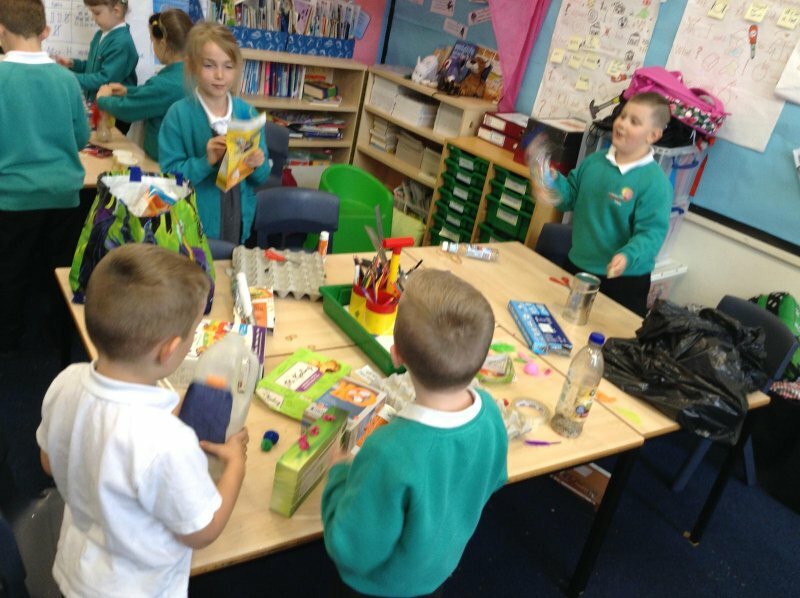 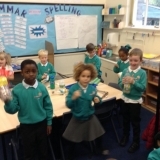 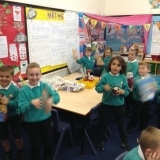 The children worked very independently and learned how to adapt sound through the design of their instrument. 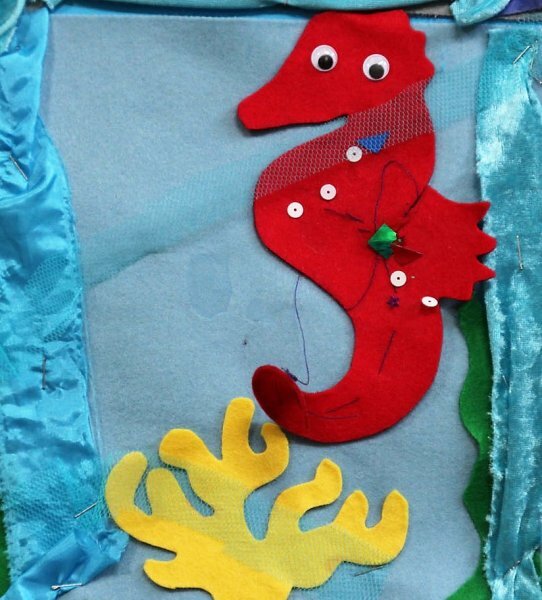 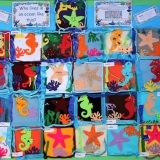 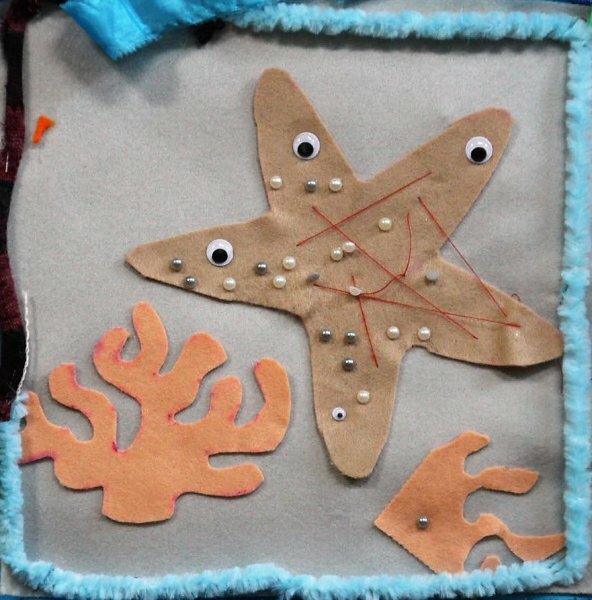 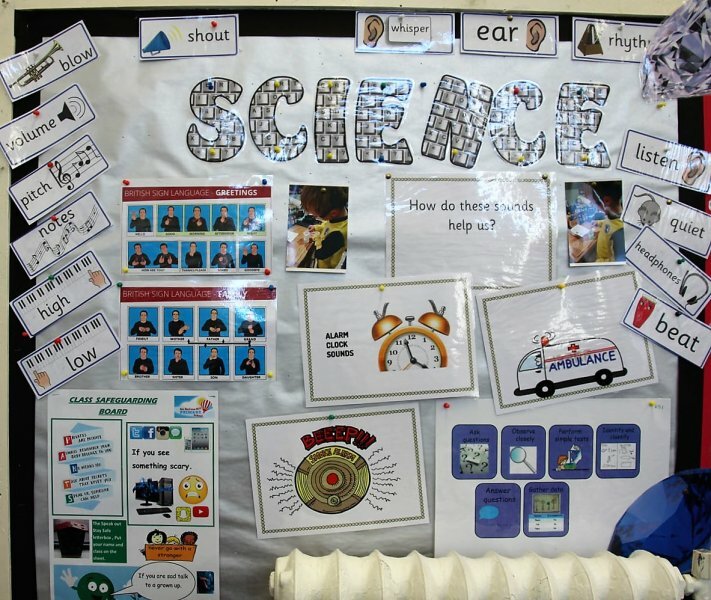 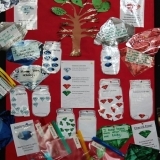 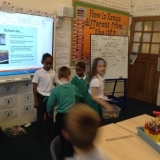 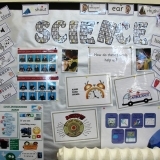 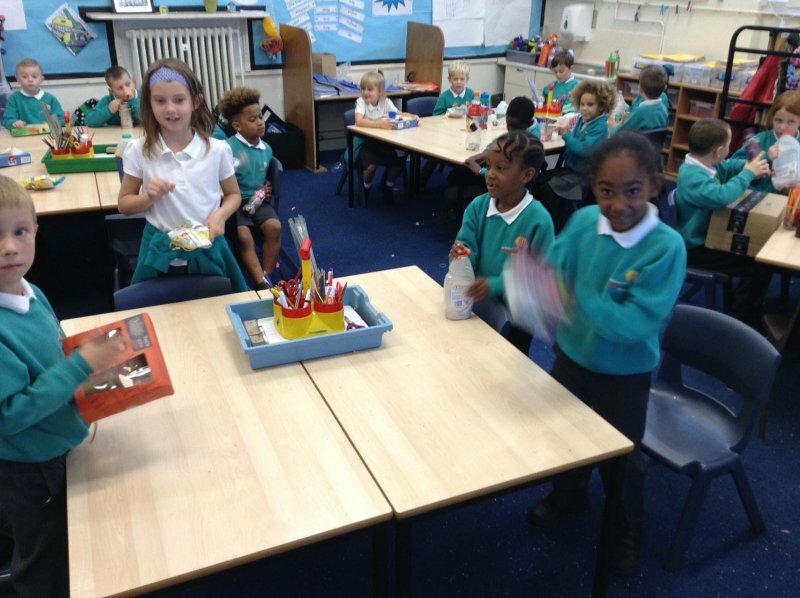 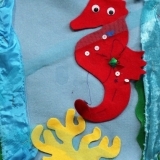 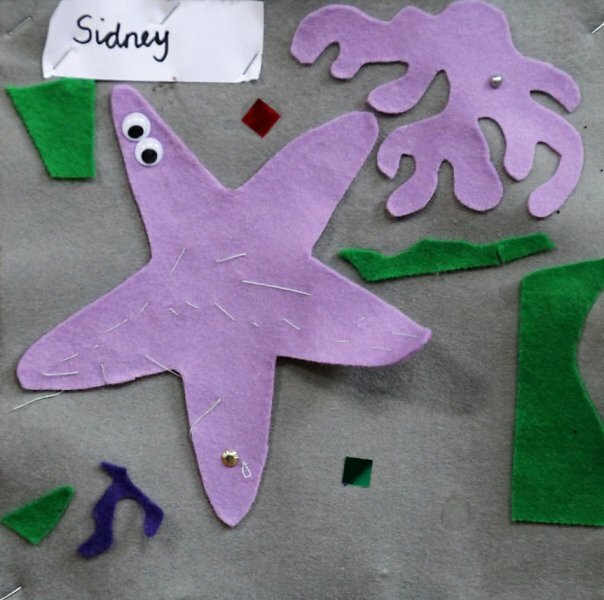 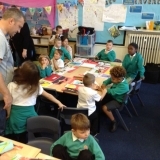 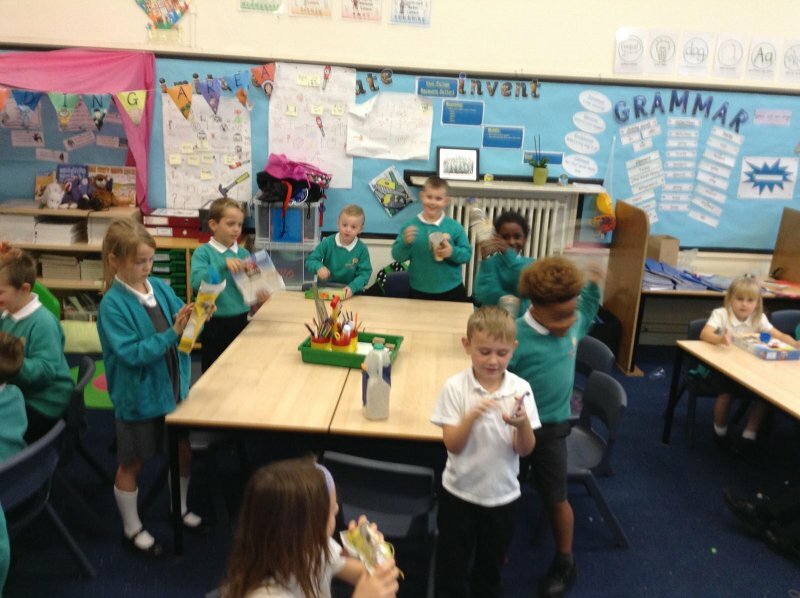 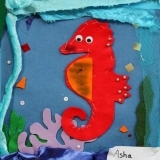 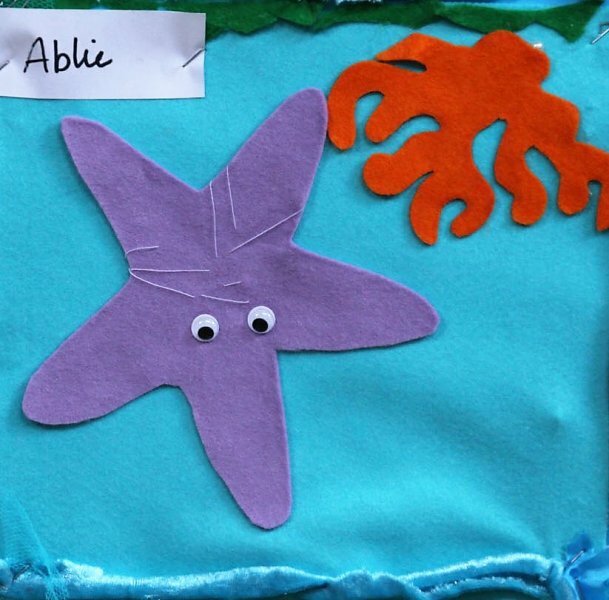 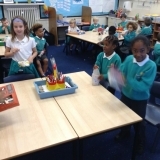 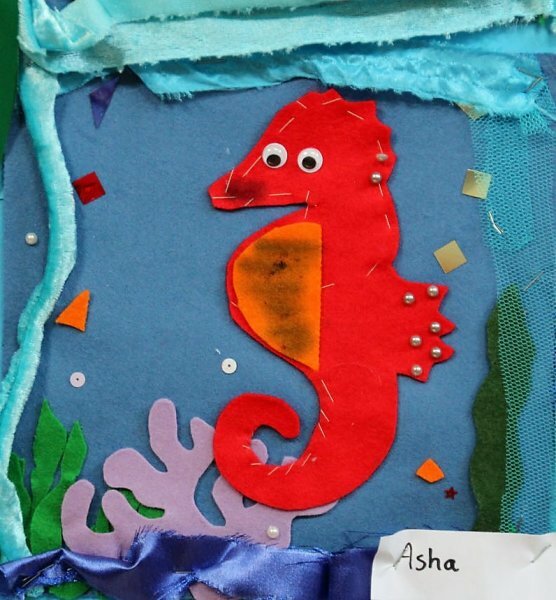 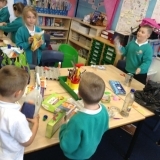 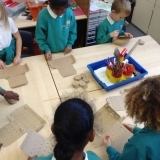 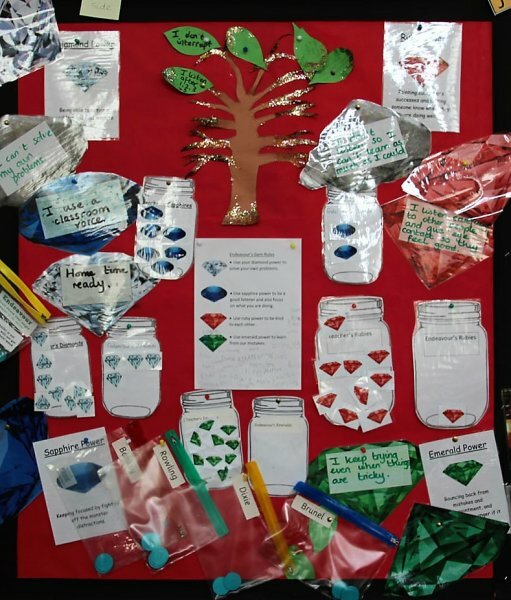 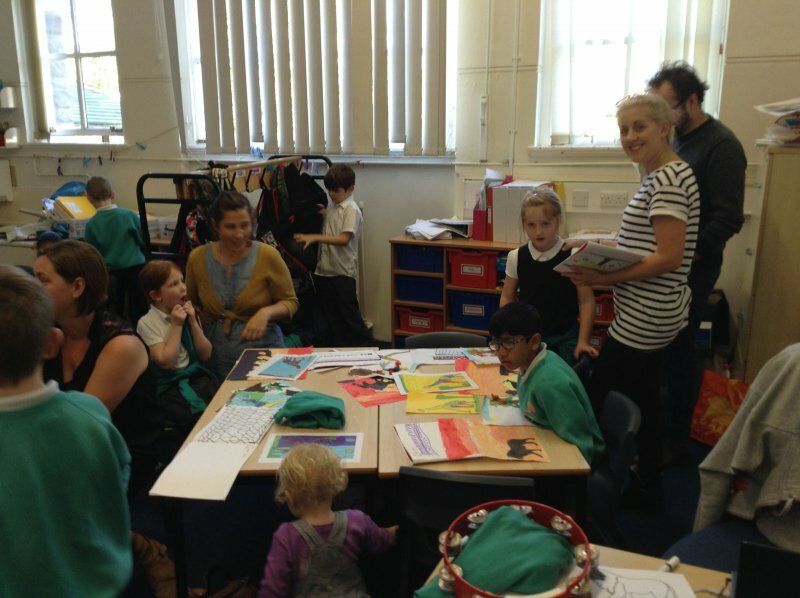 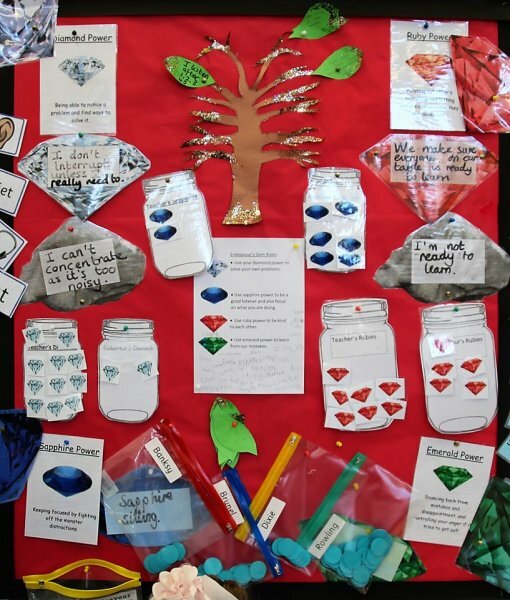 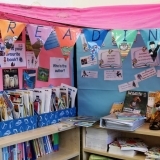 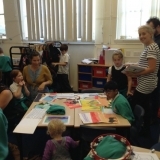 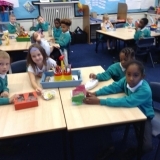 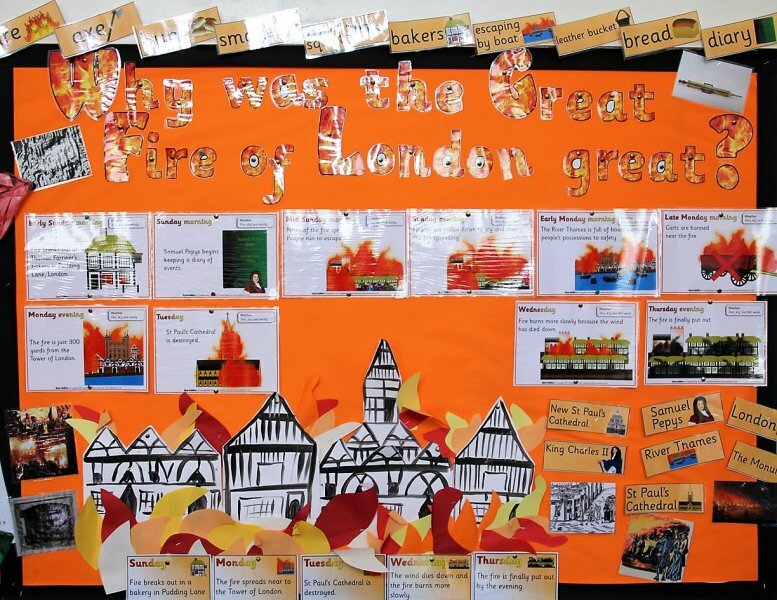 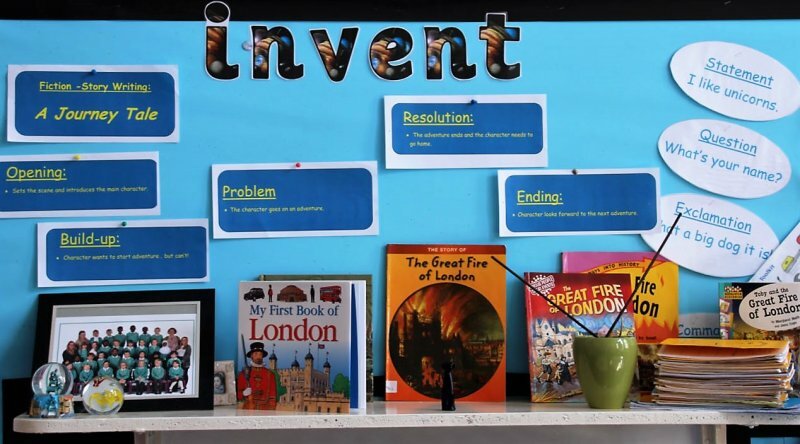 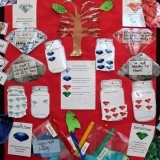 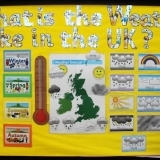 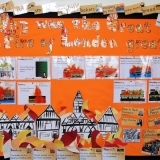 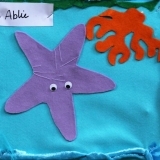 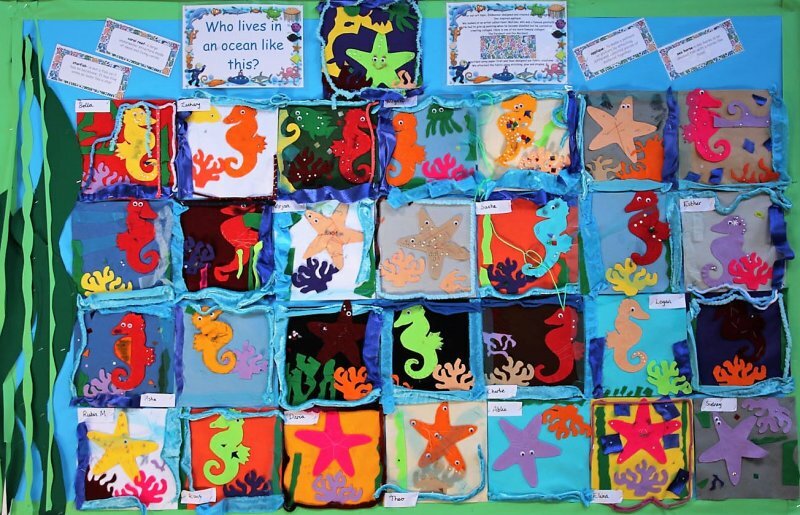 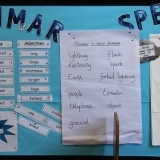 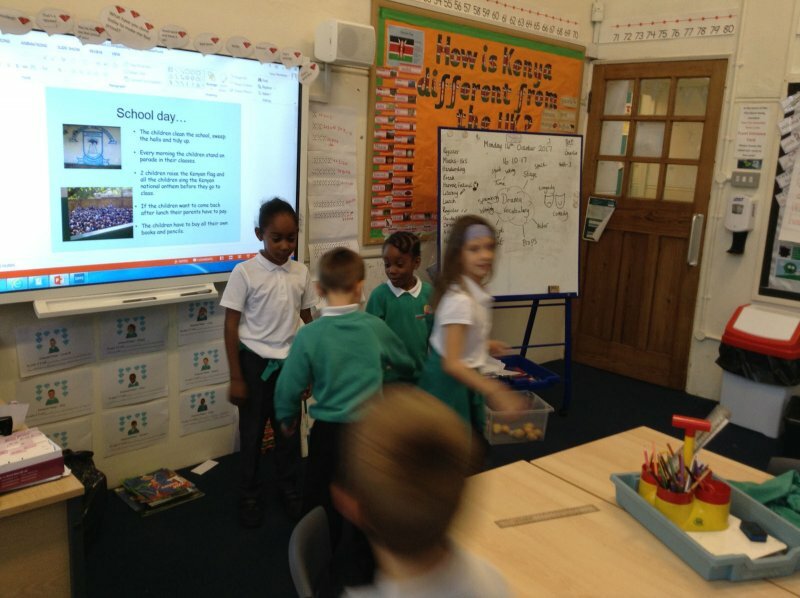 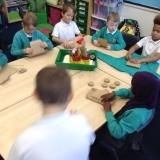 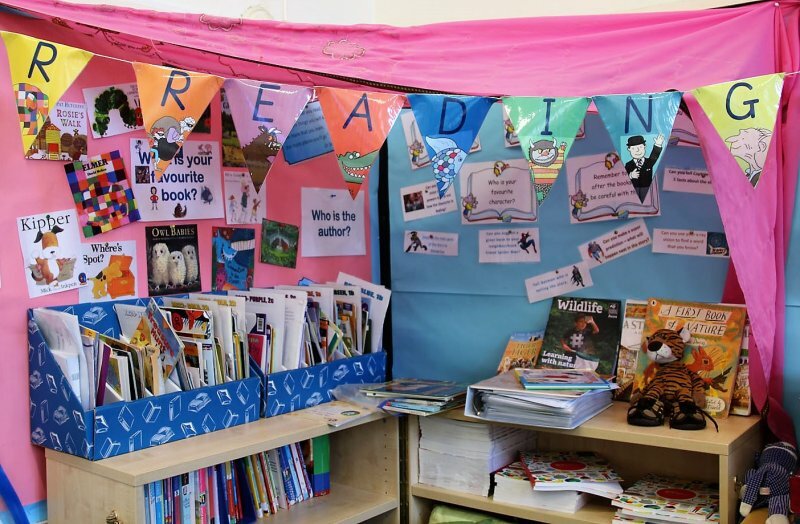 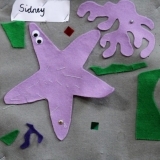 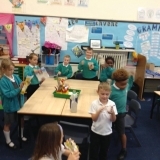 Endeavour year 2 enjoyed an end of topic WOW event when they acted out a day in the life of a Kenyan pupil and then invited parents in to see their Kenyan art. 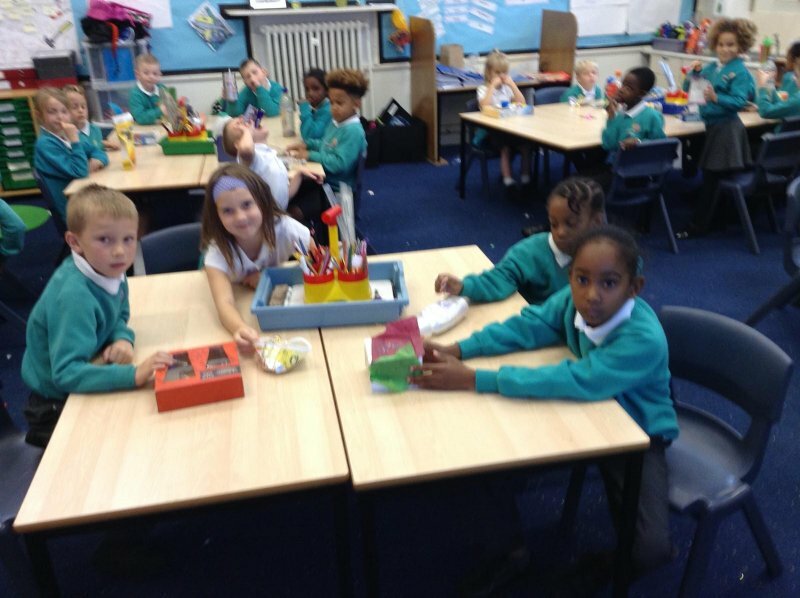 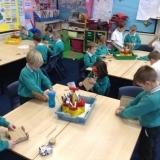 Year 2 Endeavour making shelters during the first week of term. 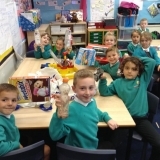 The children were working on team building skills by making teddy bear shelters.